Pieni Sammakko: Voitin nimikilpailun. I won the name competition. Voitin nimikilpailun. I won the name competition. Voitin palkinnon Hurauskadun Talot -blogista. kakkualustan ja Hortensia kukkakitin! Odotan innolla, että pääsen tekemään tuota kukkakittiä! Yesterday the mail brought a prize package. I won a prize from the Hurauskadun Talot-blog. 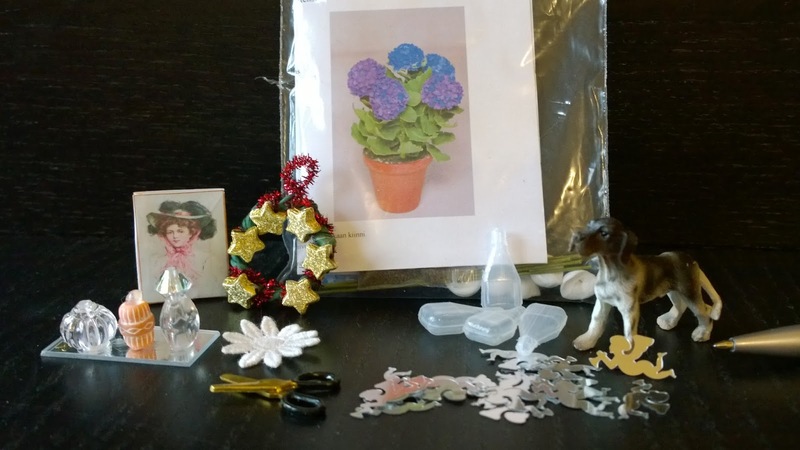 a doiley and The Hydrangea flower kit! I look forward to get started with the kit! Congrats - what a wonderful bouquet of lovely and useful things. And that flower kit looks very promising, can't wait to see your finished hydrangea. Congratualtions, Kikka, what a wonderful prize and a kit with a Hydrangea :D! I can't wait to see it finished ;)! Enjoy all of it!! Congratulations on your wonderful prizes. I love the dog. Enjoy making the flowers. Congratulations! You won very cool prizes. Congratulations! Great gifts, I love the little dog! Congrats on the win, such fabulous prizes! The flowers will look wonderful and its always nice to get some extras to craft with!